Who was the best CEO ever? Henry Ford, according to Conde Nast's Portfolio.com. The Web site asked a panel of business school professors to rank the 20 best and worst CEOs of all time. Automotive CEOs have a presence -- on both lists. Henry Ford ranked best overall. The panel cited achievements such as the assembly line, making the Model T a mainstream car that the masses could afford, and the $5 day for workers. Said the site: "Ford launched his eponymous car company with just $28,000. By 1918, half the cars in the U.S. were Model T's. Now that's a return on investment!" Also among the top 20: No. 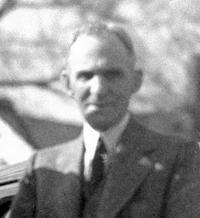 4, Alfred Sloan, who rescued a nearly bankrupt General Motors in the 1920s; and No. 18, Lee Iacocca, who pulled Chrysler out of the ditch in the 1980s. Former GM CEO Roger Smith ranked as the 13th-worst CEO ever. The site says Smith understood how GM needed to rebuild itself but bungled the execution. For example, it says, his 1984 reorganization "sowed confusion and disorder." Chrysler CEO Bob Nardelli ranks as 17th-worst CEO, mainly for his tenure at Home Depot. But the site notes that under Nardelli, Chrysler "took billions in government aid, only to face an ultimatum: Merge or face certain liquidation."